Steven Seagal to the rescue: Do Russia and the U.S. need the help of a B-movie star? The famous American martial artist, Hollywood star and close friend of the Russian president was tapped to try to improve the tense relations between Russia and the U.S. On this issue, however, public opinion in Russia finds common ground with skepticism in the West. On August 6, the Russian Foreign Ministry announced an unusual new appointment: the new special representative for U.S.-Russia relations will be Steven Seagal, the Hollywood celebrity, musician, martial artist and friend of Vladimir Putin. 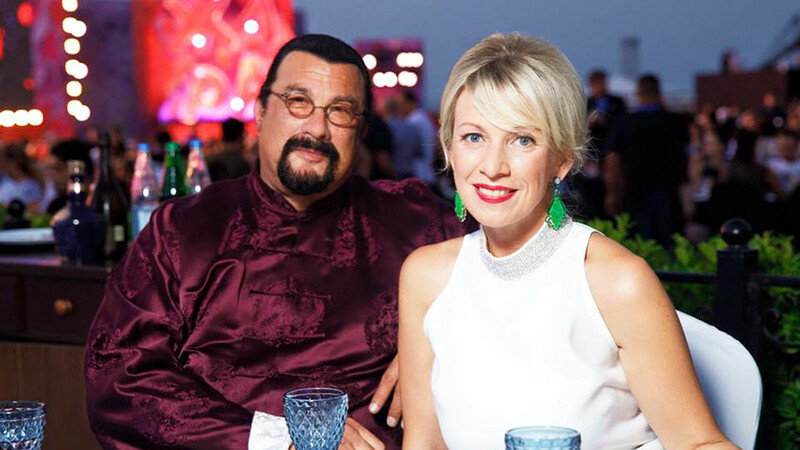 In this new capacity Seagal will contribute to bilateral cooperation in the field of culture, arts, science, education, sports, public and youth exchanges, as well as participate in such events in Russia and abroad, and maintain contacts with American partners. He is also expected to be involved in the preservation of memorial sites in the U.S. that are connected with Russia, and to promote the Russian-American legacy and chapters of the countries’ common history. Even though the role is unpaid, Seagal is still excited. In fact, he has promoted Russia-U.S. ties over the last few years and is happy to continue to do so officially. “I hope we can strive for peace, harmony and positive results in the world. I take this honor very seriously,” the actor wrote on his Twitter account. The Michigan-born actor, who has Russian roots, received a Russian passport in 2016 from Putin himself, and has publicly praised the Russian president on numerous occasions, calling him one of the greatest world leaders alive. Also, he has defended Russia against accusations of alleged interference in U.S. presidential elections. “I think most people in the U.S. and most people in Russia want to like each other. We need each other. Russia and America should be great allies. That’s the way it should be,” he said in 2017. Seagal’s new appointment has sparked public debate. Western experts such as former U.S. Ambassador to Russia, Michael McFaul, called the move “desperate,” but Konstantin Kosachev, chairman of the Russian Federation Council Committee on Foreign Affairs, thinks the decision is justified. The prevailing public reaction, however, remains skeptical and sarcastic. Online users in the West discussed the possibility to make use of other celebrities. Meanwhile in Russia, online users have joked that Seagal’s martial arts skills will prove useful in diplomatic work, and that Hollywood is now a key source for specialists in the Russian Foreign Ministry. Big bucks in Russia: How and why American and European celebrities do commercial endorsements?